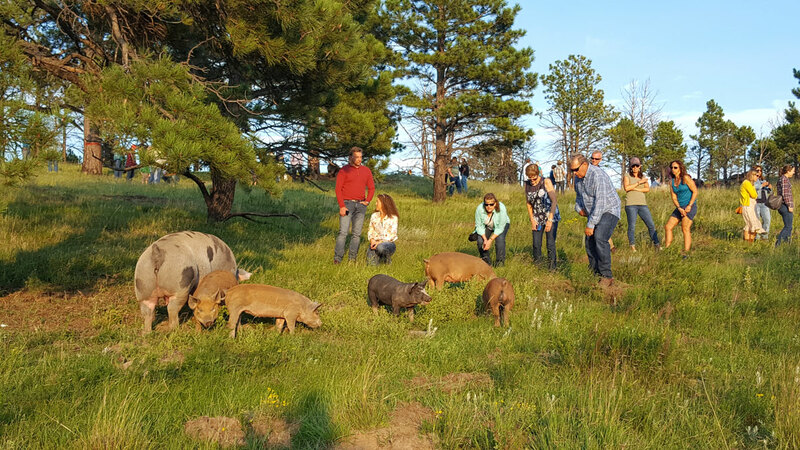 Calling all locavores: Colorado’s thriving culinary and agriculture industries have taken agritourism mainstream, delighting visitors with intimate, farm-driven experiences that feed not just the belly, but the soul. With more than 34,000 farms and ranches, 300 licensed breweries, 140 wineries and 100 farmers’ markets at last count, Colorado truly is a land of plenty. From al-fresco farm dinners to craft beer that’s local right down to the microbes, here’s how you can have the farm experience on your visit. 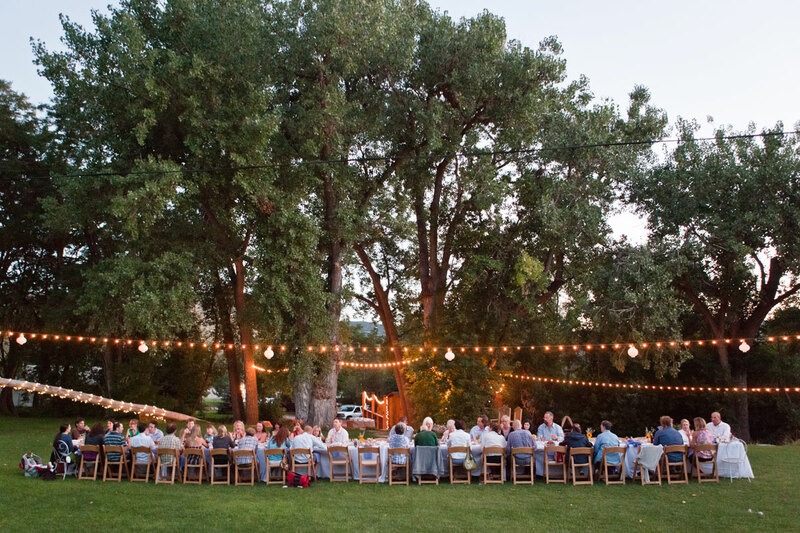 Forget farm-to-table; these days, Colorado chefs are bringing the table to the farm, with hyper-seasonal dinners crafted from ingredients grown just a few steps from where you sit. One of those chefs is Seth O’Donovan. Following stints at The French Laundry in Napa Valley and Frasca Food and Wine in Boulder, O’Donovan relocated to the Roaring Fork Valley to create The Guest House, an immersive “hospitality village” near Carbondale, where guests can indulge in elegant farm dinners, engage in one-on-one time with chefs and land workers, and learn a craft — say, butchering a lamb or making cheese. “Beyond the food model, what we lose with a disconnection from the land is a disconnection from our culture — music, art, the regional recipes our grandmothers fed us,” she says. Through this ever-evolving project, O’Donovan believes she can help reconnect people to the wild, the land and their food. El Pueblo Farmers Market (Saturdays): Held in the very spot of the historic El Pueblo Trading Post, the tradition continues today with local produce and handicrafts. Vail Farmers’ Market (Sundays): A Summit County institution for nearly two decades, featuring more than 135 tents, local artwork and even farm dinners. Grand Junction Downtown Farmers’ Market (Thursdays): More than 5,000 weekly visitors pile in to stock up on produce from the famously fertile Western Slope. 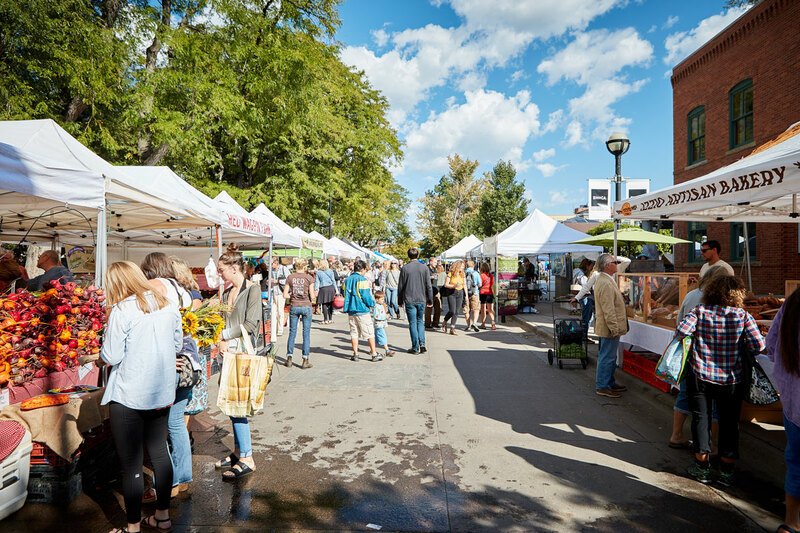 The Front Range has its fair share of markets, too, like the Boulder Farmers Market and Denver’s Cherry Creek Fresh Market, both held on Wednesdays and Saturdays. Farm-centered food trends are sprouting up all around Colorado. Everyone from bakers to brewers are rediscovering ancient methods, insisting on sustainable sourcing and rattling the food chain to see just how close to the source they can get. Knowing where your food comes from is one thing; actually hunting, catching or foraging it is another way Coloradans are getting back to their roots. Timber to Table Guide Service near Grand Junction teaches hunting, field dressing and processing game such as elk for meat, with special programs aimed at female hunters. At Rainbow Trout Ranch in southern Colorado near Antonito, the fish you catch becomes a glorious meal prepared by staff chefs. Meat not your thing? Learn to forage for mushrooms, wild herbs and more around the state with Wild Food Girl, or leave the work to the pros at Hunt and Gather, which sells their Colorado-foraged foods at markets like Marczyk’s and Western Daughters Butcher Shoppe in Denver. A growing number of Colorado’s 90 craft distilleries are partnering with farmers to turn our native crops into liquid gold. You’ll taste fruits from Palisade in Peach Street Distillers’ gins and eau de vies, Stobrawa potatoes from Basalt in Woody Creek Distillers vodka, and Pueblo-grown peppers in Rising Sun Distillery Colorado Chili Spirit. At Marble Distilling Company in Carbondale, you can even take a helicopter tour of the Crystal Valley, touching down on farms that grow the wheat, rye and triticale used in their spirits. Some of Colorado’s leading chefs are taking a ground-level approach to growing and raising their own ingredients. James Beard Award winner and “Top Chef Masters” contestant Alex Seidel founded Fruition Farms in Larkspur, a sheep farm that produces milk for cheeses served at his Denver restaurants, Fruition and Mercantile Dining & Provision. At Boulder’s Black Cat Bistro and Bramble & Hare, everything from heirloom vegetables to dry-aged ham comes from chef Eric Skokan’s personal farm. Also in Boulder, Wild Standard and SALT the Bistro all showcase their own chef-grown produce, too. Enjoying the fruits of our farmers’ labor is easy, with farm stores and stands, farmers’ markets and harvest festivals in every corner of the state. Here’s how you can get the goods.